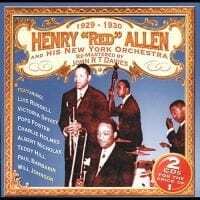 This set is a dream reissue for collectors - the whole of the Henry Allen New York Orchestra’s recordings made for Victor between 1929 and 1930, as well as sessions where the Allen band supported singers Victoria and ‘Sweet Peas’ Spivey. Also included are four titles by the Luis Russell Orchestra, comprising largely the same musicians. The sidemen featured here were handpicked by Allen and Russell and are generally regarded as among the finest of their era. Long before Ellington and Basie, this is where swing really started. 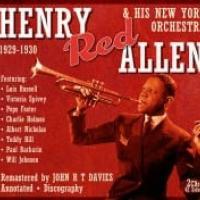 A swell two-CD collection gathering 43 of New Orleans trumpet master Henry "Red" Allen's best early recordings for the Victor label, 1929-1930 shows the first glimpse of what could be termed the post-Louis Armstrong school of jazz trumpet. Though like everyone in jazz (not just trumpet players), Allen was influenced by his former New Orleans compatriot, he took just as much from Duke Ellington's trumpet players from the same period, particularly James "Bubber" Miley's work with mutes. 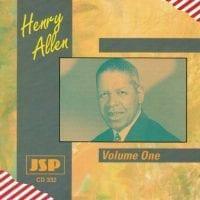 The other key difference is that Allen lacked Armstrong's natural ebullience, both as a trumpeter and as a singer, and favored a grittier tone; Armstrong rarely recorded anything as gripping as "Dirty TB Blues" (one of 12 tracks with vocals by the great Victoria Spivey) or as funky as the bass-driven "Ease on Down (Case on Down)," recorded in late 1930 with the Luis Russell Orchestra, where Allen would be a featured soloist for the next several years. The remastered sound on these discs is exceptional, making 1929-1930 one of the best available compilations of this period of Henry "Red" Allen's career. 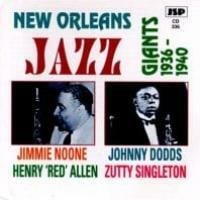 Track Listing: Jimmie Noone and His New Orleans Band: 1. He’s the Different Type of Guy – 3:08 2….